Since we began here at Color Happy, we’ve put a lot of effort into creating RAOKs- Random Acts of Kindness for our members to put out into the world. One way we’ve done this is with Compassion Cards. 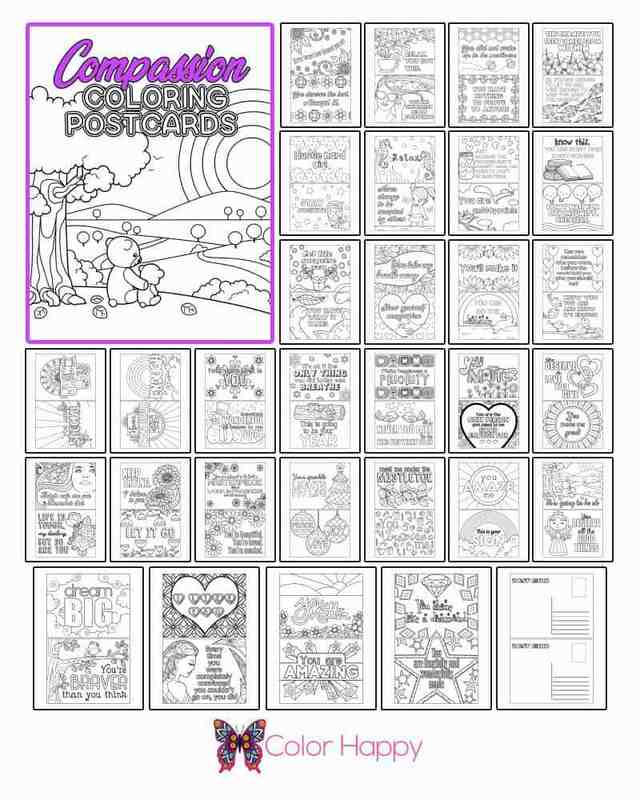 Due to popular request, we’ve recreated 60 of these Compassion Cards and resized them to postcard size. 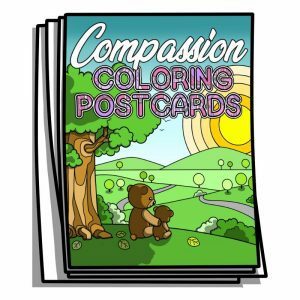 Now you can print the Compassion Postcards on one side of cardstock, and the postcard back on the other side, and mail these in the mail to someone whose day you’d like to brighten!